This isn’t a product review, because I haven’t worked with the Apollo multicamera recorder/switcher, but Jon Gay wrote to tell me about a feature that makes this unit especially useful for Final Cut Pro X editors. 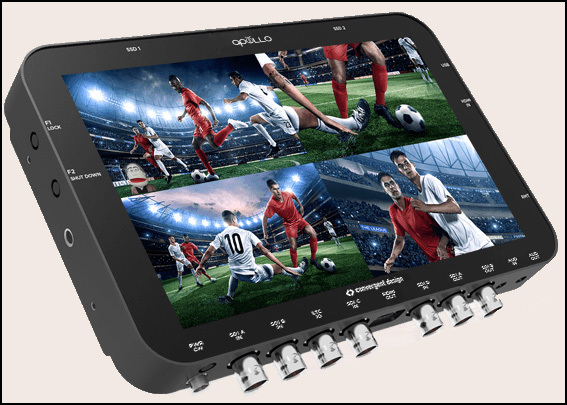 The Odyssey monitors [the next step up from Apollo] are so powerful and are pretty much standard in the multi-cam news arena. I have been wanting one for years. The ability to set-up, monitor and have a back-up recording of 4 cameras is just super cool. Two cameras are almost, well, really a requirement now if a network correspondent is involved and, depending on the story, [more likely] three. It’s kinda crazy. 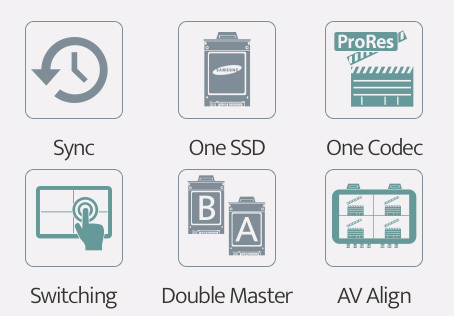 While the Odyssey monitor records a single camera, the Apollo records and switches up to four HD cameras, creating a highly-portable multicam recording system. What Jon wanted was to get signals from Apollo into Final Cut Pro X for more polished editing. What he discovered is that Convergent Designs has created a utility that converts the multitrack QuickTime format use by Convergent Designs into four separate ProRes files which can be imported into FCP X. They have a sample and transfer software to expand the file. Once you download and install it will expand the file to the 3 or 4 camera angles. I put them all in one folder an imported to FCP10.4.4. Although I got the beach ball for a bit It seemed to work just fine. Thanks, Jon, for letting us know.